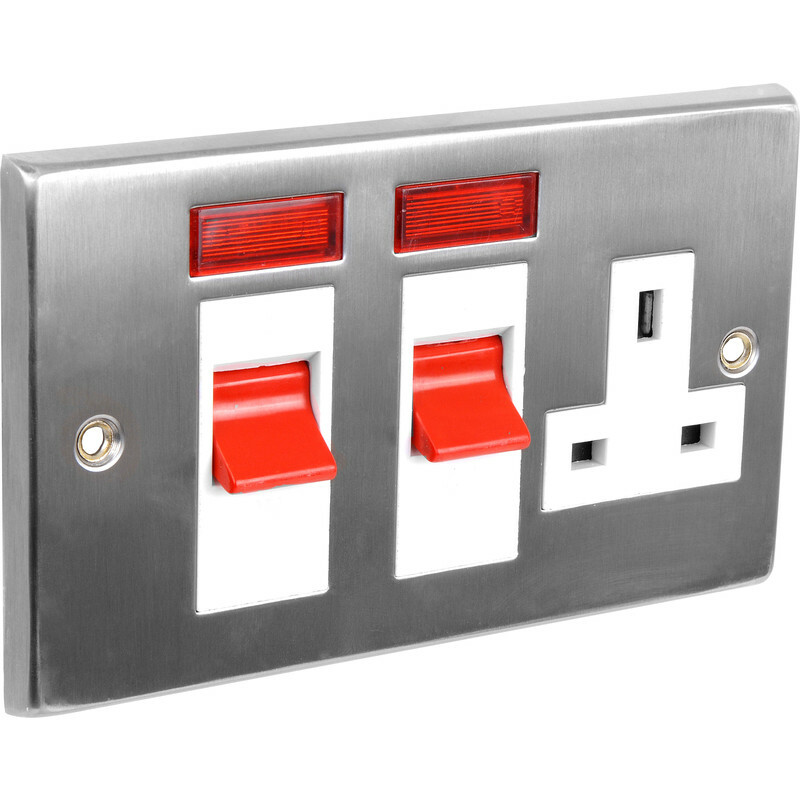 Satin Chrome / White Cooker Socket & Neon 45A is rated 4.5 out of 5 by 2. Rated 5 out of 5 by Ayresy from Great product Great looking and simple to fit. Rated 4 out of 5 by hantseaglet from Value range Good value, but not particularly robust in the earth terminal department. Need care when fitting especially with the thickest of supply cables.